VEGAN FLAVA makes vegan soul food from mostly raw or living ingredients, such as barbeque jackfruit, "fish" cakes, and collard wraps. We care about what you eat. 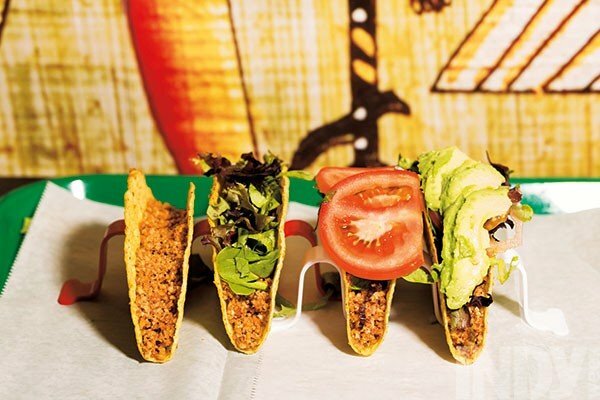 We only serve the highest quality organic/non-GMO, soy, and gluten free food. We strive to have you taste the joy, love, and high vibes going into the food. Husband and wife team Yah-I and Ma'at created Vegan Flava Cafe in 2011 as a mobile catering business when they realized that the Durham area loved the unique flavor that the couple perfected in vegan food. This grew into a food truck and finally a Durham brick and mortar business in 2015. 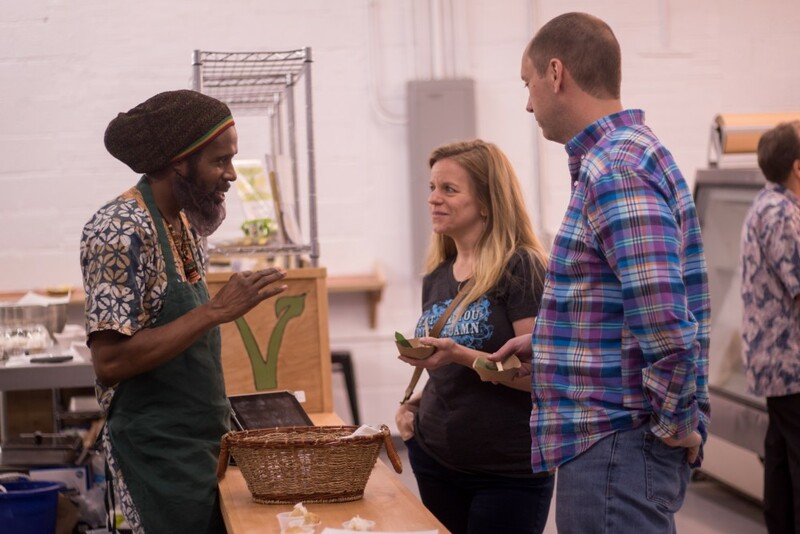 Vegan Flava is now a well-known business around Durham, Chapel Hill, and beyond. Yah-I is interviewed by Spectrum News. "From traveling the East Coast as caterers to opening a food truck in 2014, Amen and his wife have dedicated their careers to providing a new take on high quality and intentional food service. Now located in Blue Dogwood Public Market, a cooperative food hall focusing on local business, Vegan Flava Cafe begun expanding their dishes and establishing a home base." "I take a bite, look down, take another and finally look up at Ausar while smiling incredulously. His grin is so wide now it seems to dip into the hairnet that's nestled beneath his beard. 'That's the reason we're in business,' Ausar explains, laughing. 'That's what started it all.'"